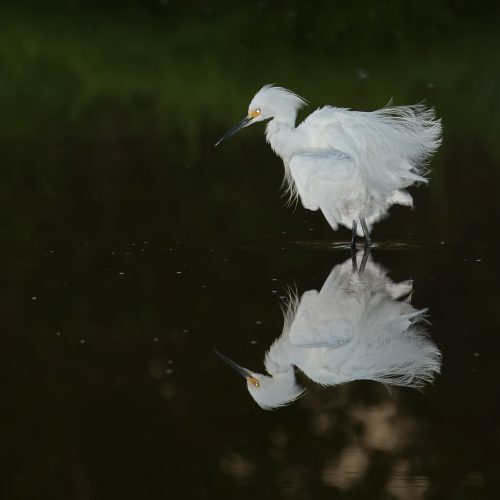 The Everglades National Park has been designated an International Biosphere Reserve, a World Heritage Site, and a Wetland of International Importance, in recognition of its significance to all the people of the world. In addition to short interpretative trails, there are longer hiking trails available and if you are willing to get your feet wet, try slogging, off-trail hiking. Try camping, birdwatching, geocaching, boating, fishing or sign up for a guided tour. Concession boat captains narrate boat tours along the mangrove coast at both Flamingo and the Gulf Coast. Biking or paddle sports such as canoeing or kayaking, are an excellent way to explore the Everglades. 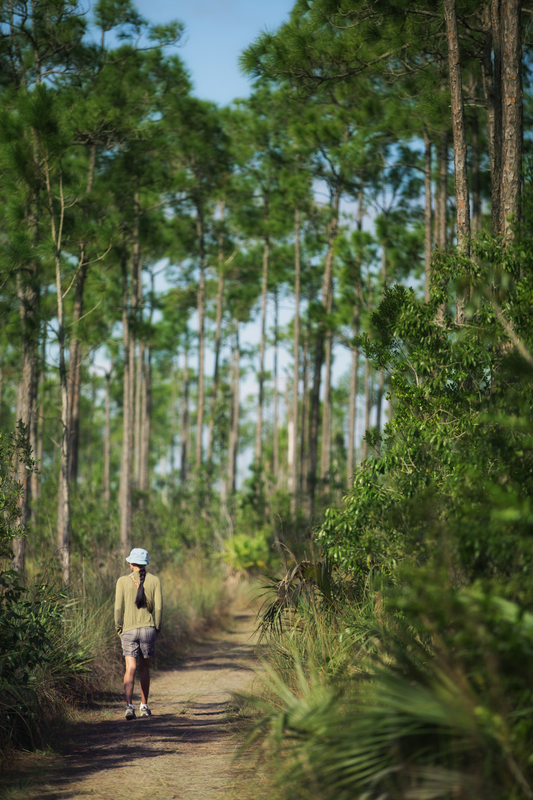 The best bicycling areas are at Shark Valley, the Snake Bight Trail, and the Long Pine Key Nature Trail. One of the best ways to learn more about the park is participating in ranger-led activities. They lead hikes, canoe trips, slough slogs, bicycle trips, tram tours, and campfire programs depending on the season. The Everglades National Park is an expansive area in South Florida, which consists of 1.5 million acres of wetland. Since the Park covers such a large area of South Florida, planning is a must. There are three entrances to Everglades National Park and they are not connected, they are accessed through different areas of South Florida. All these areas offer a wide range of activities. 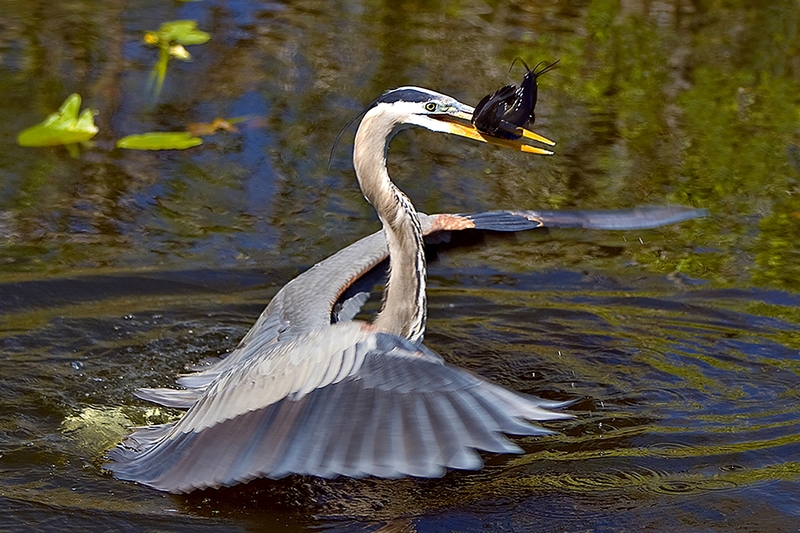 You can take a short walk on the Anhinga Trail to spot abundant wildlife–turtles, herons and alligators! Climb atop Shark Valley’s 65-foot observation tower for a bird’s eye view of the glades. Glide over Florida Bay by tour boat or kayak for a chance to glimpse a crocodile, manatee, or dolphin. Watch as the sun sets over Flamingo, the southernmost accessible? point in mainland Florida. Explore the pinelands by bike, paddle amongst the mangroves on Nine-Mile Pond, or tour the historic Nike Hercules missile base. Join a ranger on a slough slog deep into the heart of a cypress dome. Find solitude on your own on a week-long canoe trip, camping along the 99-mile Wilderness Waterway. With countless opportunities for discovery the following quick links will help you plan an adventure that’s right for you! Everglades National Park has a total acreage of 1,509,000 acres in Miami Dade County, Monroe County, and Collier County. 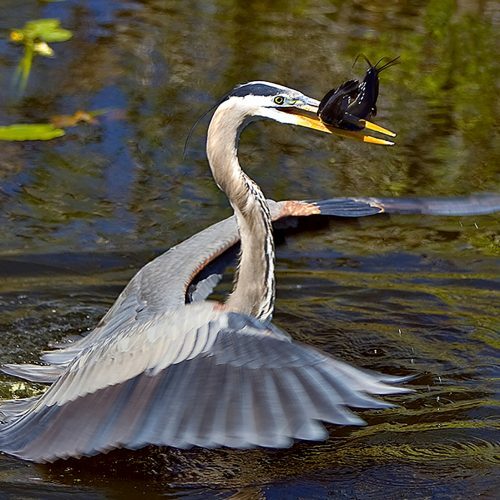 Unlike most National Parks, the Everglades has three entrances in three different cities. Please note, these entrances are not interconnected. A car is needed at the Everglades because distances are long and no public transportation travels within the park. This is the main entrance for Everglades National Park. The Ernest F. Coe Visitor Center is located at this entrance, as well as Royal Palm and Flamingo. Directions to the Ernest F. Coe From Miami: Take the Florida Turnpike (Route 821) south until it ends, merging with U.S. 1 at Florida City. Turn right at the first traffic light onto Palm Drive (State Road 9336/SW 344th St.) and follow the signs to the park. Directions to the Ernest F. Coe from Key West:Visitors driving north from the Florida Keys on U.S. 1 should turn left on Palm Drive (State Road 9336/SW 344th St.) in Florida City and follow the signs to the park. The Shark Valley Visitor Center is the entrance closest to the Greater Miami Area, Florida. Directions to Shark Valley Visitor Center from Miami:From the Florida Turnpike, get off on exit 25A (from the north) or exit 25 (from the south) take U.S. 41 (Tamiami Trail / SW 8th St.) 25 miles west to Shark Valley. Directions to Shark Valley Visitor Center from Naples: Take U.S. 41 (Tamiami Trail / SW 8th St.) approximately 70 miles east to Shark Valley. The Gulf Coast Visitor Center is the entrance closest to Naples, Florida. Directions to the Gulf Coast Visitor Center from Interstate 75 (Alligator Alley): Take exit 80 (State Road 29) turn south and proceed 20 miles to Everglades City. Once in Everglades City, follow the signs to the park. The Gulf Coast Visitor Center is on the right. Directions to the Gulf Coast Visitor Center from Shark Valley Visitor Center: Drive west on U.S. 41 (Tamiami Trail) for 40 miles, then turn left on State Road 29. Once in Everglades City, follow the signs to the park. The Gulf Coast Visitor Center is on the right. 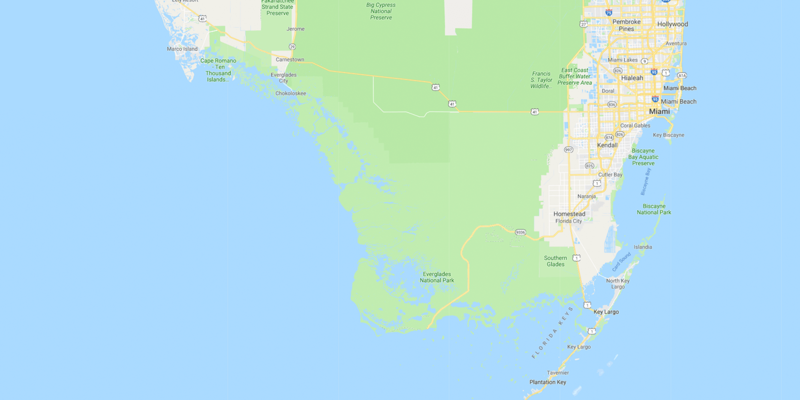 Directions to the Gulf Coast Visitor Center from Naples: Take U.S. 41 (Tamiami Trail) east toward Miami for approximately 35 miles to State Road 29, then turn right. Once in Everglades City, follow the signs to the park. The Gulf Coast Visitor Center is on the right. The Flamingo Visitor Center is the southernmost visitor center in Everglades National Park. It is at the end of the Main Park Road and is accessible from the main entrance (Homestead). Directions to the Flamingo Visitor Center from the Main Park Entrance: Drive south for 38 miles to the Flamingo Visitor Center. Everglades National Park strives to be accessible to everyone. The park offers a variety of accessible facilities, services, and programs including backcountry camping, front country camping, boat tours, and assistive learning devices. The following pages will provide guidance on accessibility throughout the park. Visitor Information through TDD is available at 305-242-7740. 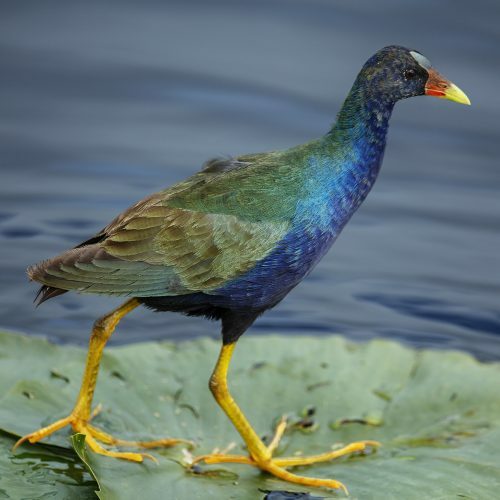 Everglades National Park provides a variety of services to accommodate those with hearing enhancement needs.visitors with special hearing enhancement needs. Films shown at the Ernest F. Coe Visitor Center, Shark Valley Visitor Center and Gulf Coast Visitor Center include captioning. Additionally, Assistive Listening Devices (ALD) are available upon request for use during Ranger-led interpretive programs. The Shark Valley Tram Tour and the Gulf Coast boat tour offer ALD upon request for interpretive programs. 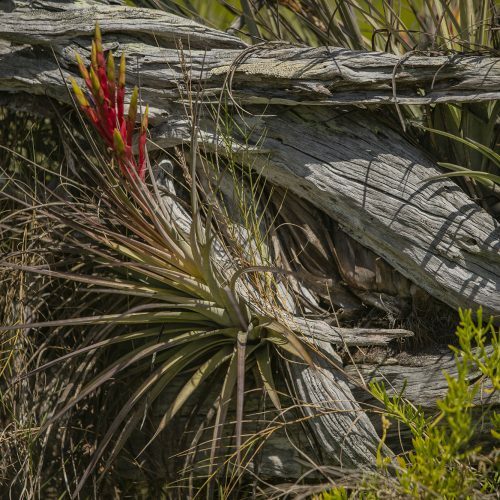 People with impaired mobility, especially those reliant on wheelchairs, will find this information helpful in planning an enjoyable visit to Everglades National Park. The Ernest F. Coe Visitor Center, located at the park entrance near Homestead, offers an accessible route from the parking lot to the building via a curb ramp. The parking lot contains van accessible parking spaces clearly identified by signage. The center offers ease of access to the interior of the building through automatic swinging doors operated by an easily accessed manual switch. An excellent place to begin your visit and orient yourself on what the park has to offer. The Royal Palm Visitor Center is accessible to wheelchairs. The trailheads and store can be accessed via a curb ramp from the parking lot through a barrier-free path. The parking lot contains van accessible parking spaces identified by clear signage. This area allows for ideal wildlife viewing along the Anhinga Trail, which is also wheelchair friendly. The Flamingo Visitor Center is accessible by a steep ramp. The parking lot contains van accessible parking spaces identified by clear signage. The Shark Valley Visitor Center is accessible to wheelchairs from the parking lot via a curb ramp. The parking lot contains van accessible parking spaces identified by clear signage. The Gulf Coast Visitor Center is accessible by elevator from the parking area. The parking lot contains van accessible parking spaces identified by clear signage. Wheelchairs are available on loan on a first come first serve basis at Royal Palm Visitor Center, Flamingo Visitor Center, and Shark Valley Visitor Center. 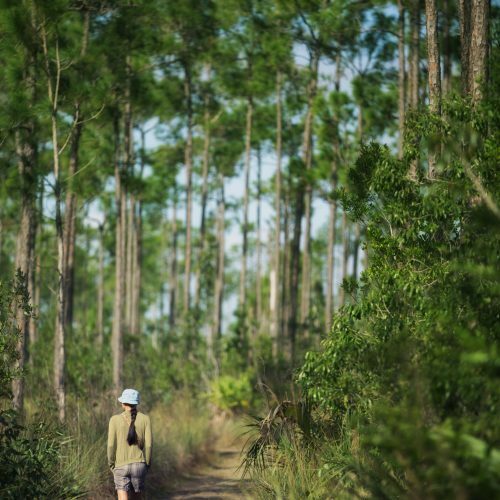 A great way to experience the Everglades is to do so on one of the many accessible trails. These have a firm and stable surface which can be paved or a boardwalk. The following are wheelchair accessible and less than 3/4 of a mile. Other trails at Long Pine Key and Flamingo used to be two-track roads. These may be muddy or passable depending on the season. 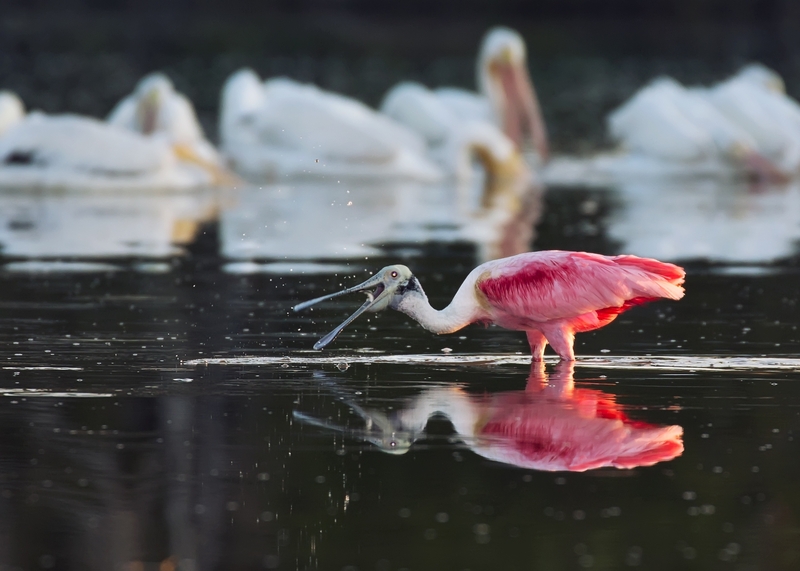 The Long Pine Key and Flamingo front-country campgrounds both have accessible campsites. Each contains wheelchair accessible restrooms. The parking lot includes van accessible parking spaces identifiable by clear signage. There is only one backcountry site that is accessible to visitors with mobility impairments. It is the Pearl Bay Chickee, located about a four-hour canoe trip away from the main park road. It features handrails, a canoe dock, and an accessible chemical toilet. There are a variety of ranger-led activities ranging from guided tours of some of the trails to amphitheater programs. Most of these occur during our winter season, during the summer our programs are limited. Check the list of current ranger-led activities. Many of the concession-led boat tours from Flamingo and Gulf Coast are wheelchair accessible. The Shark Valley tram tour is accessible as well; trams contain a ramp for wheelchairs. Tour includes a stop at an observation tower which has a steep ramp; it may be accessible with assistance. Call ahead for arrangements. 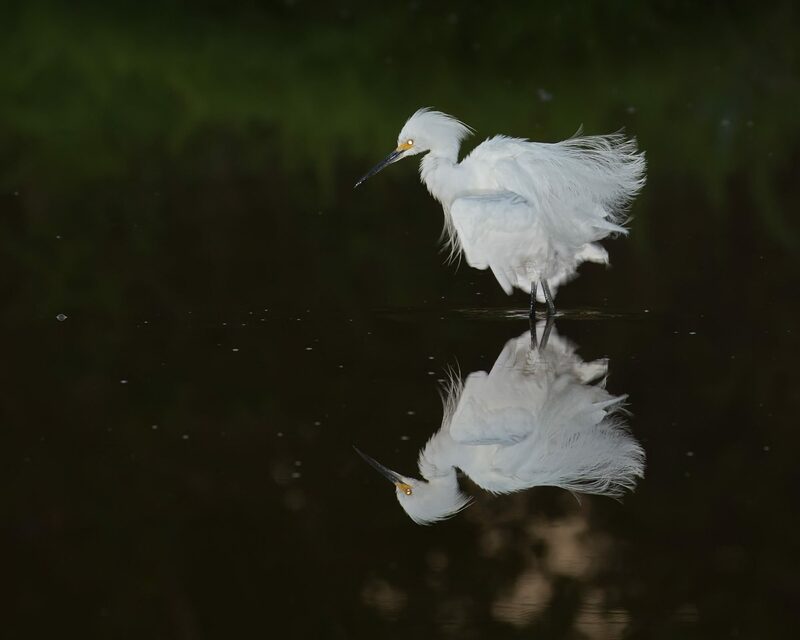 For more information contact Everglades National Park information, 305-242-7700. For TDD, call 305-242-7740. Service animals for persons with disabilities have traditionally been understood to be guide dogs for blind individuals and hearing assistance dogs for persons with hearing impairments. Since these animals provide service for persons with disabilities, they are not considered to be pets and, consequently, are not regulated as pets. Accordingly, they have been allowed to go into areas where pets are traditionally prohibited. The 2010 revision to Title II of the Americans with Disabilities Act (ADA) defines a “service animal” as a dog that has been individually trained to do work or perform tasks for the benefit of an individual with a disability, including, but not limited to, guiding individuals with impaired vision, alerting individuals with impaired hearing to intruders or sounds, providing minimal protection or rescue work, pulling a wheelchair, or fetching dropped items. Dogs that are not trained to perform tasks that mitigate the effects of a disability, including dogs that are used purely to provide comfort or emotional support (“therapy animals”), are considered pets. Due to the concern for wildlife management issues, Everglades National Park’s regulation allows the closing of an area to the use of service animals if it is determined that the service animal poses a direct threat to the health or safety of people or wildlife. In determining whether a service animal poses a direct threat, individualized assessments based on current scientific knowledge or on the best available objective evidence to ascertain the nature, duration and severity of the risks have been taken into account, and less restrictive measures will not suffice. The Ernest F. Coe Visitor Center located at the park entrance near Homestead presents audio recordings of the Everglades environment. There are also various tactile opportunities to experience the wildlife displays. The restroom and theater signs are available in Braille. The Flamingo Visitor Center contains a museum exhibit with both print and audio displays. The Shark Valley Visitor Center offers a touch table for tactile opportunities. The restroom signage is available in Braille. The Gulf Coast Visitor Center contains a touch table for tactile opportunities. Large print and clear signs are displayed. Check the list of current ranger-led activities on the web-site, or at a visitor center, for information on programs and accessibility. In the summer, fewer programs are offered. The accessible trails within the park display interpretive signage which is in clear and large print. Interpretive programs as well as visitor center displays, whenever possible, have been made accessible to visitors with limited visual capacities. The Everglades National Park covers more than 1.5 million acres in South Florida. While most of the park is remote and inaccessible, there are plenty of spots within a few minutes of Miami and Naples, where you can get a feel for the “River of Grass”. Your first decision in visiting the Everglades is which entrance to use; there are three and they are hours apart from each other. If you want the opportunity to observe the heart of the everglades you can either enter through Shark Valley in Miami or the Main Entrance of the Park in Homestead. However, if you are looking to explore the Gulf Coast, then you should plan to take a boat trip at the Gulf Coast in Everglades City. Named because its water flows southwest toward Shark River, Shark Valley is the heartland of the Everglades. At Shark Valley you can walk, bike, or ride a tram along a 15-mile loop road and see some of the park’s best wildlife concentrations. The Shark Valley observation tower offers a 360 degree view of the Everglades. The viewing deck overlooks a life-filled water hole, providing a bird’s eye view of alligators, turtles, fish, and birds. From the Gulf Coast Visitor Center in the town of Everglades City, take a boat – your own or a scheduled sightseeing boat tour – to explore the vast mangrove estuary of the Ten Thousand Islands. 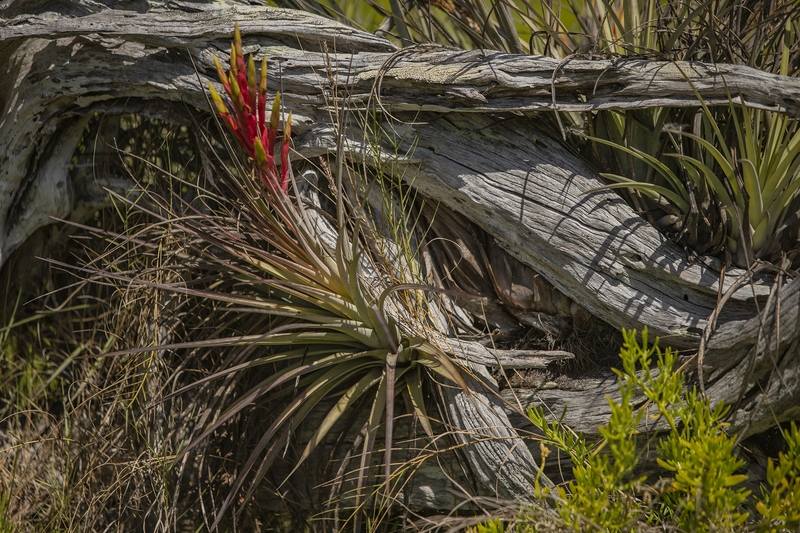 Along the Main Park Road in Homestead, which connects our south entrances, there are a series of stops with short walks that show the Everglades’ diverse ecosystems. Royal Palm is the departure point for two interpretive walks: the Anhinga Trail and the Gumbo Limbo Trail. 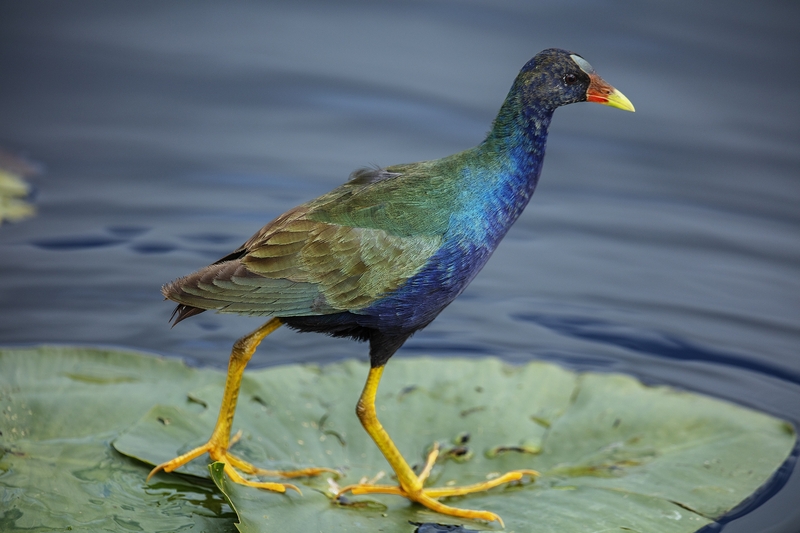 Expect to see plenty of wildlife along the Anhinga Trail, a world famous boardwalk trail bordering Taylor Slough. The Gumbo Limbo Trail is a paved path through a hardwood hammock. On your car ride to Flamingo, there are many trails to explore off the main park road. At the end of the park road, Flamingo is the gateway to Florida Bay. The bay and its adjoining maze of mangrove waterways provide homes for thousands of birds and a wealth of fish, crabs, shrimp, and other marine life. Facilities, products, and services at Flamingo include a campground, a marina with boat launching areas, and hiking and canoe trails. Kayak, canoe, and bicycle rentals are available through Everglades Guest Services. Pets are Allowed in Limited Areas in Everglades National Park. Due to the concern for wildlife management issues, Everglades’ regulation allows the closing of an area to the use of pets and service animals, if it is determined that these pose a direct threat to the health or safety of people or wildlife. Pets present in areas not permitted open themselves to predation by wildlife, as well as posing a significant danger to the handler and other visitors. Qualified service animals assisting people with disabilities are allowed in other areas where pets are traditionally prohibited and in all park facilities. However, they must be leashed. For additional information call the general park information phone 305-242-7700 or read the Everglades Compendium listing current park-wide laws and policies. America’s Everglades is one of the most beautiful National Parks to experience. Plan for your trip accordingly because South Florida’s subtropical climate brings significant seasonal changes. Due to these dramatic changes in weather during each year, we encourage you to read about and prepare adequately when visiting this extraordinary place during the Dry Season and the Wet Season. Physical fitness and weather – Please keep in mind personal physical fitness levels of all in your party and consider any limitations when planning your outdoor activities including hiking, biking, or paddling in the Everglades. If you or anyone from your group is not from Florida and unfamiliar with the subtropical environment and terrain, they should be aware that it can be scorching and humid, especially in the summer. Local knowledge of terrain – Please familiarize yourself with the trails before hiking, biking, or paddling. You should know how long the trail is and the approximate time it takes to do a particular trail. Besides, you should let someone know your plans so that if you are gone too long and become lost the park can better assist any needs. Ask a park ranger or park volunteer, if unsure where to find this information. For Outdoor activities in the Everglades preparation is a must – Bring water (especially in the summer), insect repellent (summer and if you will be in or around heavy vegetation), sunscreen, and proper clothing for the activity you will be doing. Supervise small children – Please keep small children close and under supervision, especially around wildlife and bodies of water. The park is a wild and natural area, and animals move about freely. Exercise even more caution at night. Pets – If traveling with your pet, please be aware that pets are not allowed on most trails in the park. Avoid leaving your pet in a parked car due to high temperatures. 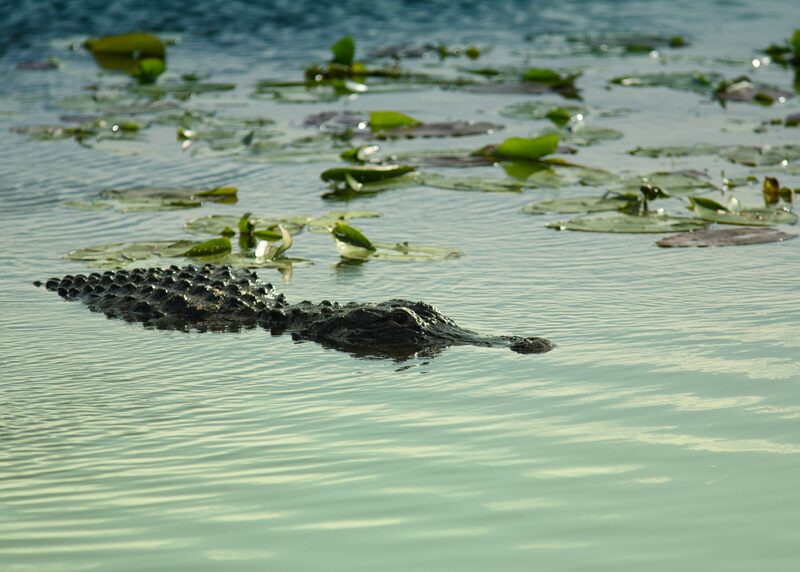 Wildlife such as alligators and crocodiles may perceive animals like small dogs as prey. Protect yourself and your pet by keeping them on a leash in parking lots and other designated areas away from wildlife. For the health and safety of your pet, consider leaving them at home or boarding them at an appropriate facility while you visit the park. Do not feed any wildlife that you encounter, including birds. Feeding wildlife of any kind will eventually make the animal aggressive and is illegal. Alligators and crocodiles that are fed by humans begin to associate humans with food and can become aggressive. Alligators and crocodiles – Crocodilians are one of the reasons people visit the park; however, these are wild animals that can be dangerous to humans. Keep a safe and respectable distance of at least 15 feet. If an animal is hissing, you are too close, even if it is more than 15 feet. Alligators and crocodiles are more active at night and do most of their hunting from dusk to dawn. Although they may look like a statue at times, they are alive and alert and can react fast. Touching an alligator is never a good idea. Feeding or harassing an animal, including throwing objects at it, is a criminal offense that carries a fine. Any action that alters the natural behaviors of an animal is harassment. Poisonous plants – The park’s ecosystems support a variety of plant life including some that cause reactions to human skin. Poison ivy which can grow like a plant, vine, or shrub is common especially in sunny patches of forested areas. Poisonwood is a tree or shrub found mainly in the pine rock lands and hardwood hammocks. Physical contact with these plants may cause a skin rash. Burning these plants can cause significant damage to the airway. Vultures are attracted to the rubber on vehicles and have been known to cause severe damage to windshields, sunroofs, and windshield wipers. Vultures are a federally protected migratory species and may not be harmed. Talk to a ranger at any of our visitor centers to learn more about the park and to help you plan your visit. Naturalists give talks and lead hikes, canoe trips, tram tours, and campfire programs. 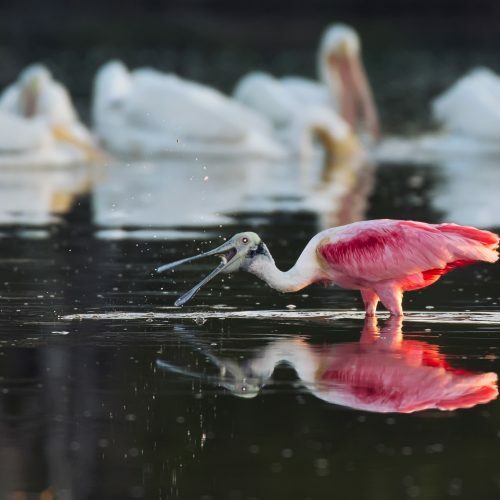 At Royal Palm and Flamingo in Homestead, our main park entrance boasts wildlife that varies from fresh to saltwater species with many trails, campgrounds, and picnic areas along the way. At Everglades City the Gulf Coast Visitor Center is the park’s western saltwater getaway. Narrated boat tours explore pristine Ten Thousand Islands and coastal mangrove. At Shark Valley the wildlife-viewing tram tour through sawgrass prairie includes a stop at a 65-foot tower for spectacular views. The climate in Florida is known to be mild and sunny.The average annual temperatures for South Florida and the Keys range from 74° to 77°F (23° to 25°C). 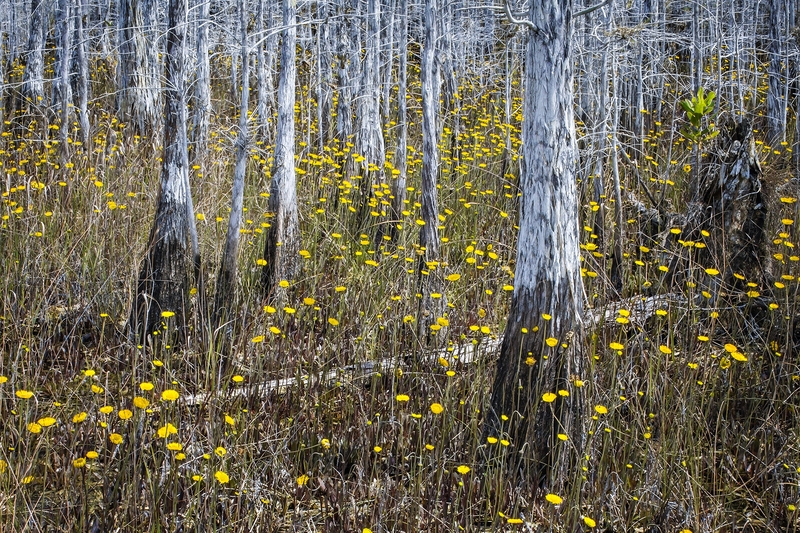 There are two seasons at the Everglades National Park: the wet season and the dry season. The wet season runs from Mid-May to November and the dry season runs from December to mid-May. 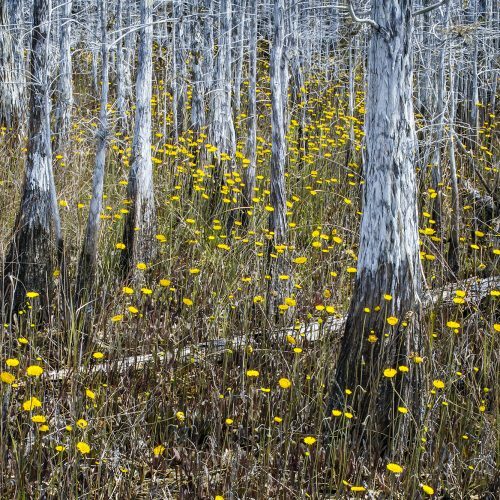 It is important to know that the Everglades has two very distinct seasons: dry season and wet season. Dry season lasts from November to March and wet season lasts from April to November. Dry season is also the busy season because of the warm winters that attract the largest variety of wading birds and their predators. Wet season is buggy and many ranger programs are no longer offered. This is why it is important to check ahead of time the current schedule for ranger programs.